Some time ago, I wrote a post about zoo-themed jaspers. Since then, I've been able to acquire two big-cat themed slabs I really love. So I decided to update this classic blog post with the new materials. Another reason I went back and updated this post was that I realized I had a number of cabbing materials that weren't just named for animals--they were petrified remains of animals! I'm working on a future blog post about those materials . . . and I bet you'll be as surprised as I was about how plentiful and varied they are! 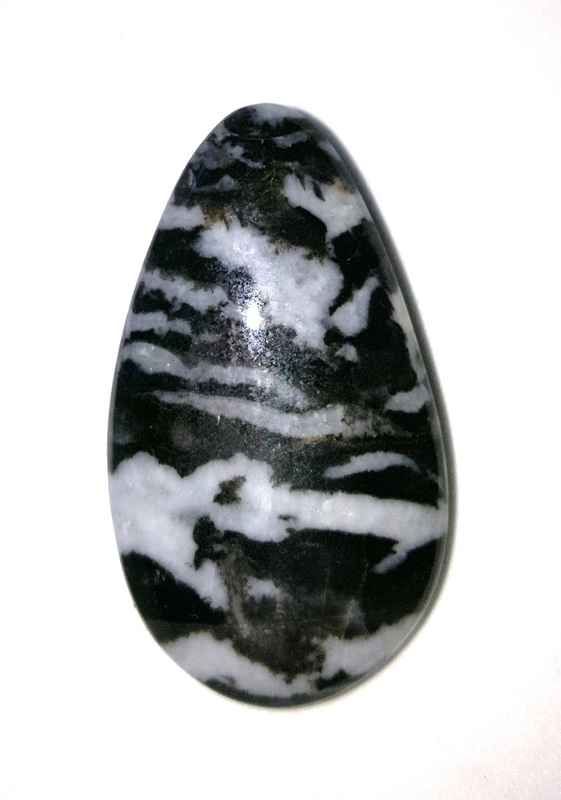 The Leopard Jasper at the top of the blog has a lot of amazing stories it wants to tell this Lapidary Whisperer. I see a red brick wall separating the wilderness above and the homes, fields, and streams below. The Cheetah Jasper, on the other hand, tells stories of camouflage in the wild and stories hidden behind the dots. When I first posted this blog, , I was looking through some slabs, and the Simon and Garfunkel lyrics, "It's all happening at the zoo," came to mind. On the table, I had slabs of zebra jasper and some beautiful tiger eye. So I wondered, are there many other stones that could be zoo animals? Yup! Here's the line-up of the ones I found in my shop. The zebra is something I found at an estate sale in San Francisco. The shop equipment and contents were being sold after an old rockhound went to that amazing lapidary shop in the sky. I was pretty new at the hobby then, and I was entranced by the stark black vs. white coloring and the fluid lines of the rock. I took a few pounds then, now I wish I'd bought all there was. This cab is from a smallish strip I purchased at a rock show. The first thing that struck my eye about it was how the brown intrusion on the large end drains like a lake through the most chatoyant part of the stone down to a blue tiger eye space. To me, it's a story stone, because of the way the color and the movement work together. For example, if it's not a lake draining to the bottom, what if it were a blue volcano with the brown smoke going through a bright sunset? 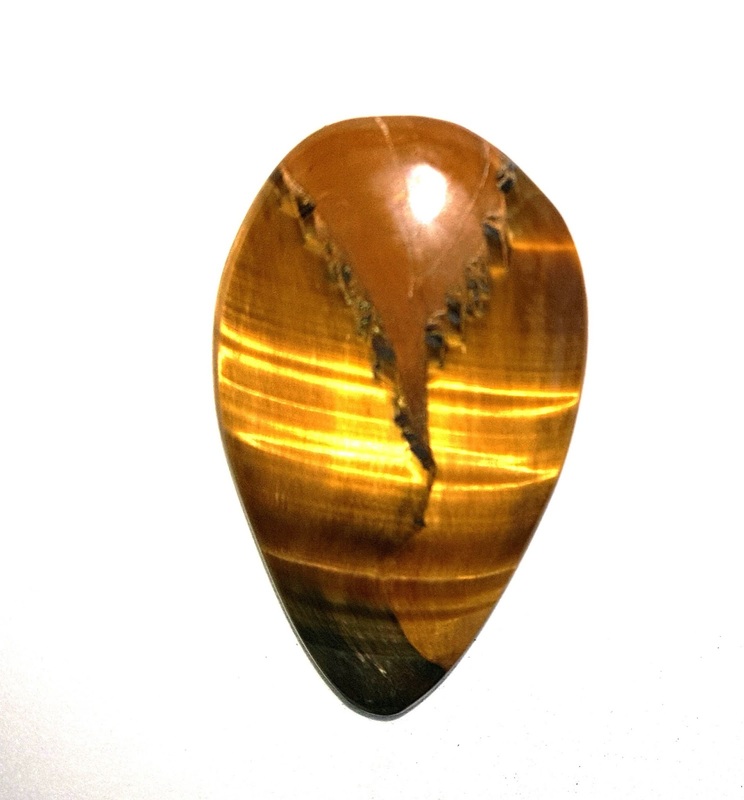 I believe this tiger eye originated in Western Australia where it is called Marra Mamba. One thing I love about working tiger eye, is that with a Mohs scale hardness of 5.5-6, it is soft enough to work fairly quickly, but still hard enough to take a wonderful shine! Okay, let's start with the fact that I have no idea why it's called snakeskin when it's red. I'm not sure I've ever seen a red snake. The parallel red lines do remind me of a snake and I can almost see it slithering along, but really . . . Maybe it's a special zoo snake. 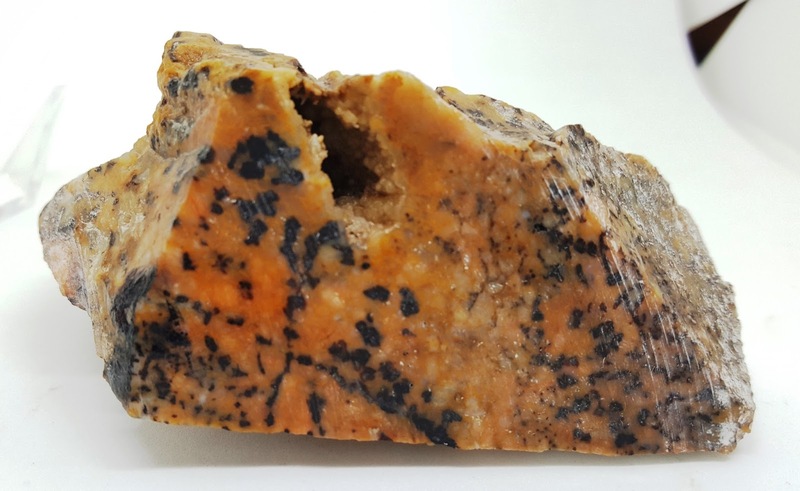 As jasper goes, crocodile is reminiscent of the animal, but it's a long way from being the most attractive stone out there. It does give the overall impression of a crocodile skin, I haven't been able to get the cabs from the piece of rough I purchased to take much of a shine. I've been using cerium oxide on canvas. Has anyone out there had a better result with another polishing medium? So, these are the zoo animals from my workshop rocks. 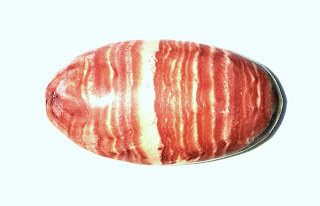 Do you have any "zoo" named minerals you're working on or any minerals you think should have zoo names? Send me a note with a picture, I'd love to see it!